WooCommerce WorldPay Extension: Take payments via WorldPay. accept credit card payments via a secure, hosted payment page. providing inncluding basic support for subscriptions (requires a WorldPay account). 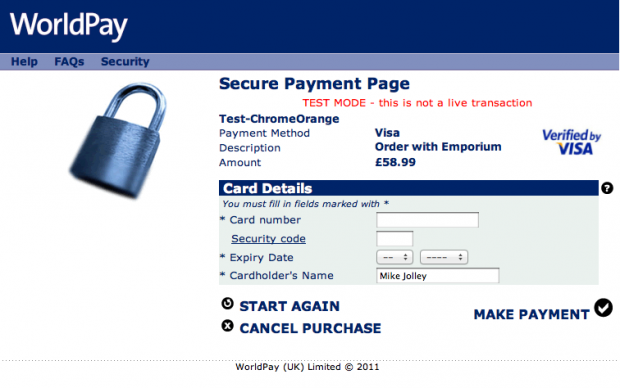 ◉WooCommerce WorldPay is pretty flexible, however there are some limitations. The plugin supports WooCommerce products and subscriptions. ◉You can even use Worldpay to take subscription payments if there are more than 2 weeks until the next payment. WorldPay WooCommerce limits customers to one subscription per cart.